XIV International Conference on Quantum Optics and Quantum Information organized by National Academy of Sciences of Belarus, B.I.Stepanov Institute of Physics of NAS of Belarus, and Belarusian Physical Society in the INTERNATIONAL YEAR OF LIGHT & LIGHT-BASED TECHNOLOGIES, 2015 will be held on October 27–30, 2015 in the city of Minsk on the base of Presidium of NAS of Belarus. The traditional style for this Conference is the oral presentations followed by rather informal discussions during poster sessions. 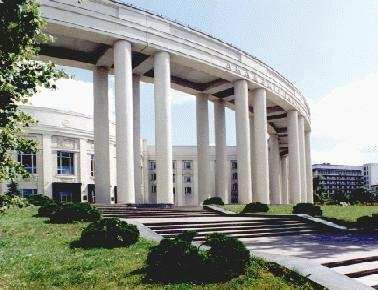 This International Conference will be the next one of a series of very successful meetings that were held during the last 30 years in Minsk in 1986, 1988, 1990, 1992, 1994, 1996, 1998, 2000, 2002, 2004, 2006, in Vilnius in 2008, and in Kyiv in 2010. If you have joint projects with quantum optics and quantum information scientists in the FSU or plan to start such an activity, it is a good chance to choose this event for your local meeting with colleagues.